Sherry FitzGerald is offering to the market Oakmount, No 14 Hillcrest Court, for sale by private treaty. 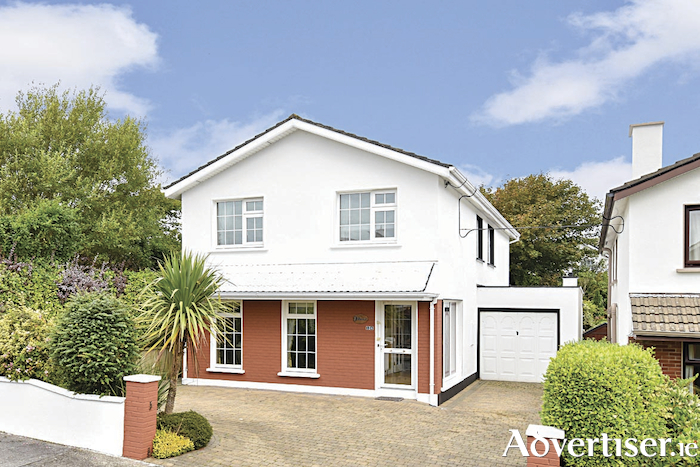 This is a beautifully appointed four bed detached home in a much sought after development. Hillcrest Court was built in 1982 by Brennan Homes and comprises a number of detached homes, all of which are owner occupied. Oakmount is well positioned within walking distance of a huge range of amenities including Salthill Promenade, Galway Golf Club, Galway Lawn Tennis Club, Joyce’s Supermarket, local schools, and a variety of restaurants, bars, and hotels. Galway city centre is just two miles away with a regular bus service at the entrance to the development. Asking price is €615,000. This large four bedroom detached family home benefits from having a private rear garden and an attached garage which could be incorporated into the home if desired (subject to planning permission ). The property is bright and spacious with high quality fixtures throughout. It has been owner occupied since new and well cared for through the years, and has everything a modern family desires. The BER is C3. Properties of this calibre and location are a rare find and viewing is highly recommended. It is sure to impress.